A self–owned studio of architectural and interior design GSA&ID from 1993 to 2012, managing teams of arquitects, interior and graphics designers and proyects managers. - Ability to lead and manage team of Designers and Projects Managers . - Highly Creative and take lead in conceptualizing Residential and Hospitality Interior design, space planing and design process. - Strong ability to lead clients and consultants, achieving a level of sinergy that results in outstanding performance an unparallel work quality. - Strong drive to engage in evidence-based design and sustainable projects. Knowledge of LEED Certification requirements. -	Manage deliverable projects in terms of scope, time and budget. Prepared and managed budgets of up to $ 2,5 million for major hotel corporations. - Ability to sketch freehand illustrations , perspectives and technical solutions. -	Talent, creative flair and desire for continuos knowledge and learning. -	High Proficiency in Autocad, PhotoShop, Illustrator , Indesign and Microsoft Office Package. 2012 - Design Director GALLERIES LAFAYETTE / OSBORNE to France F&B Areas. 2011 - Concept & Design SUTHOKAY Thai Restaurant. Madrid SPAIN. 2010 - Concept & Design SUMMA Japanese Restaurant SPAIN. Jerez de la Frontera. SPAIN. 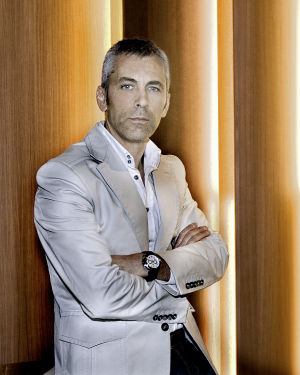 1993-2007 - Senior Interior Design Director GRUPO VIPS. Award: Hotel & Spa category. Award: "Best Luxury Hotel Spa in Europe and the Mediterranean". Award: Finalist in the Gold List 2011 in the category of "Resort Spain". Award: Finalist in the Gold List 2010 in the category of "Resort in Spain". Award HOT CONCEPTS Restauration News Magazine. - Everything to do with the asiatic culture. - Adventure, Running, Diving, Electronic music….